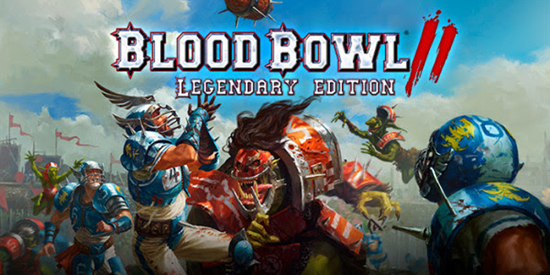 The Legendary Edition will be available as a stand-alone game for newcomers, and as an affordable expansion for all Blood Bowl 2 players. The Blood Bowl 2: Legendary Edition’s release is just around the corner! The highly anticipated Legendary Edition will bring in September a wealth of new content, notably all the official races and Star Players from the original board game! To celebrate this momentous occasion, the Content Reveal Trailer is now out, showcasing the latest teams and the newest features brought by the Legendary Edition. The Legendary Edition doesn't only bring 8 new races, many new Star-Players and cheerleaders gone wild: also brand new is the single-player mode Eternal League, an unending career as a coach for any of your available teams. Compete in matches across multiple seasons, participating in tournaments with different sizes and rules, as you keep evolving and levelling up your team. The second new single-player mode is the Challenge Mode. This mode presents the player with crazy and wild match situations, which have to be solved within a single turn with a set of pre-rolled dice. These challenges could be anything from sending a Thrall six-feet-under, pushing an ogre off the pitch, or scoring the most improbable touchdown of your Blood Bowl career. Beyond these exciting new features are the new Khemri stadium, even more insane matches with the All-Star teams and the Mixed Teams, and many new tools and options enriching an already deep multiplayer experience. These will be revealed as we get closer and closer to the release of Blood Bowl 2: Legendary Edition! Blood Bowl 2 Legendary Edition will be available as a stand-alone game for newcomers, and as an affordable expansion for all Blood Bowl 2 players this September on PlayStation 4, Xbox One and PC.